Commuters and upperclassmen use Stamp Student Union’s hallway couches for lunchtime studying and meeting friends. The food court boasts popular chains like Sbarro and Panda Express. 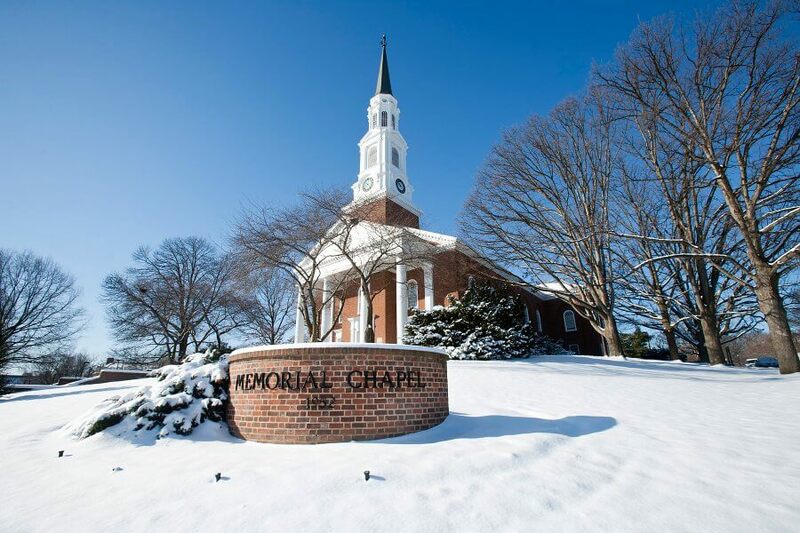 Memorial Chapel, home to many concerts and weddings, is impressive from any angle. Its Pathways to Peace maze and garden provide a picturesque outdoor study spot or an off-the-beaten-path chance to unwind. At nine acres, McKeldin Mall the largest academic mall in the country and truly timeless. 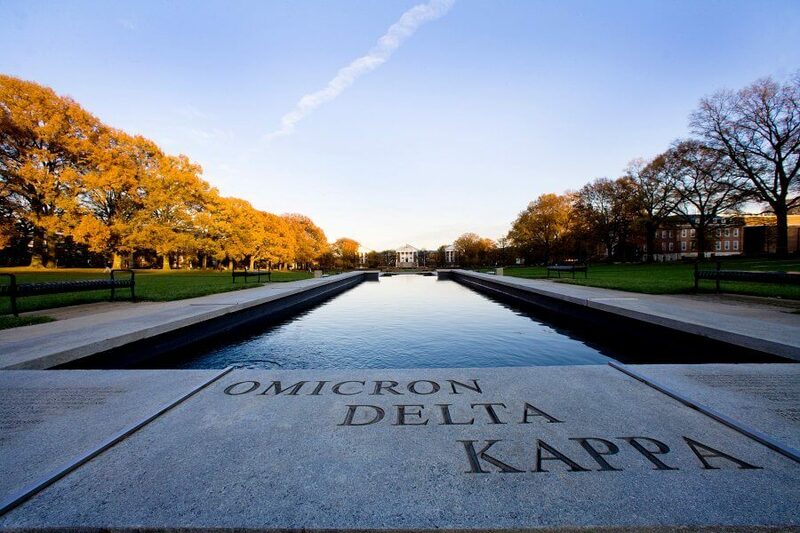 It's a wide stretch of grassy lawn with the sleek Omicron Delta Kappa fountain running down the middle and a sundial in the center. They even filmed National Treasure 2 here. Sunday evenings bring Quidditch practices; Friday afternoons bring standup comedy on the library steps; and most sunny afternoons bring slackliners wobbling in midair under the trees. You will know Terp freshmen by their blisters. The campus’s sprawl guarantees you at least one semester of twenty-minute walks to class. When it’s just too far, take advantage of the campus bus system. Its late-night color-coded buses prove especially convenient for student partiers. During the weekdays, commuter buses travel as far away as Silver Spring and cover the immediate College Park area. Buses also run every ten minutes to the College Park Metro stop, a 20-minute train ride from D.C. If you never commit to a McKeldin study exile during your time at Maryland, you’ve passed up a cultural experience. Cubicles and desks fill the library’s seven floors. The upper levels, which house the stacks, are quite short on windows. On the bright side, your studies will be distraction-free—if you avoid reading the desk graffiti. The lower floors have a much more social atmosphere; in recent years, students have taken to calling them Club McKeldin. Carrette swears by the School of Public Health. “They have a lot of couches and tables over there, which always make the study experience so much better,” she said. South Campus’s equivalent is the Robert H. Smith School of Business. 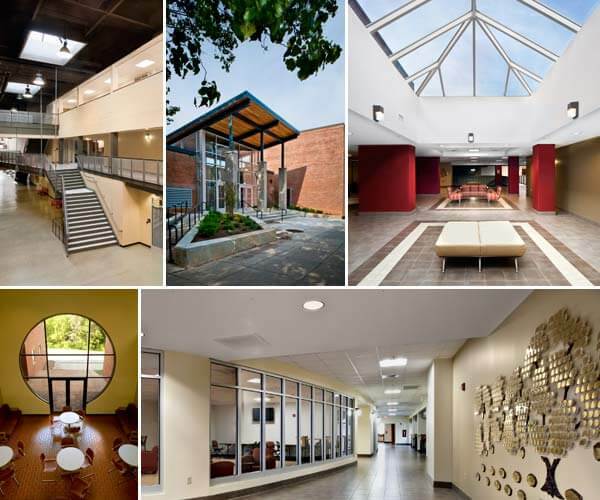 It lacks plentiful couches but compensates with silence and empty classrooms for group study sessions. Make the hike to the Clarice Smith Center’s music library, which is almost oppressively silent compared to McKeldin and Hornbake libraries. If the first-floor couches are taken, check the mini-lounge behind the music stacks on the upper level.